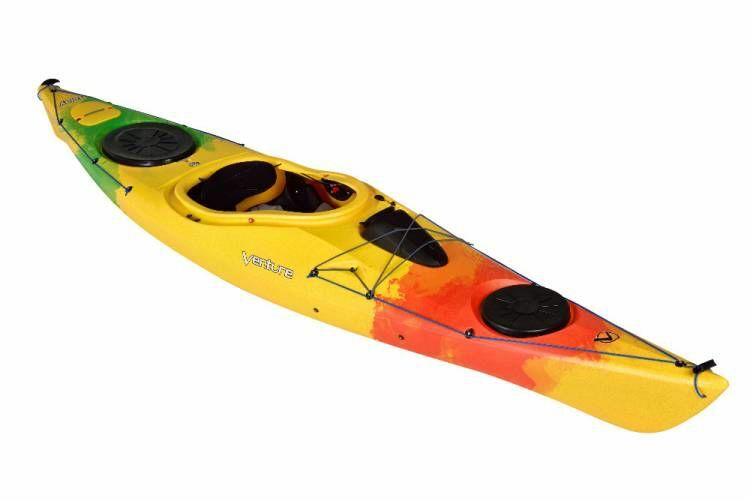 A longer kayak is a faster kayak, allowing you to cover larger distances; the Islay 14 is an adventure touring kayak with a length approaching that of a performance touring kayak, but in a format that offers a little more stability and manoeuvrability. Deck Bungees - Store items like water bottles or hats close to hand. Large Bow & Stern Hatches - Dryer storage of a picnic or camping gear, thanks to market-leading KajakSport Original hatch covers. Toggle Handles - Used for carrying or for keeping hold of the kayak after a swim in rough water. Paddle Park - Store your paddle safely whilst fishing, taking photos, or just relaxing. Security Point - Attach a cable lock to secure your kayak during storage.